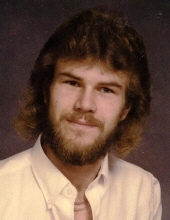 Howard ‘Wolf’ Boelter, 52, of Appleton, passed away peacefully in his home on Jan 12th, 2019 after an honorable struggle with ALS. Howard was born Nov. 28th, 1966 to Dallas and Betty Lou (Sommers) Boelter. Howard's ability to connect with people was beyond amazing. He could talk to anyone about any topic with ease. As a result of his outgoing personality Howard has had many friends and has touched many people’s lives. Howard was known to many by his nickname Wolf. Howard found the wolf to have such meaning. He resonated with this beautiful animal on a deep level. Howard's life involved many hobbies. His eye for perfectionism showed in his RC airplanes, model cars, and model semis. He also enjoyed fishing on his boat. Howard could fix anything and was always willing to help those in need. Howard’s generosity and caring nature continued after his passing with anatomical donation to help further ALS research and in hopes of finding a cure. Howard is survived by his parents, children Crystal (Amanda) Boelter, Lance corporal Harley Boelter, and Joseph (Brittany) Boelter and two grandchildren Lillian and Bow, very special partner and caregiver Sue Fischer , brothers Wayne (Kathy) Boelter, Martin Boelter, Stuart Boelter, and sister Valarie Tyler (special friend Pat McMilen), Ex-wife Tammy Cantrall, and 12 nieces and nephews. Howard was blessed have great friends Tom Lanpheer who has been such a positive man throughout their friendship, longtime friend Jeffrey Kubinski, and Howard’s reading teacher Pete Ducklow who put his time and energy into his education. Our family would like to extend gratitude towards those who cared for Howard- Sue Fischer, Louie Affeldt, Harley Boelter, Hospice, RN Lisa, and to all those who showed love and support. A memorial gathering and meal to honor Howard's life will be held on Jan. 27th, 2019 at 640 Highland Park Circle. Appleton. Gathering will begin at 11am. In lieu of flowers, donations in honor of Howard’s memory will be appreciated. To plant a tree in memory of Howard "Wolf" Boelter, please visit our Tribute Store. "Email Address" would like to share the life celebration of Howard "Wolf" Boelter. Click on the "link" to go to share a favorite memory or leave a condolence message for the family.